Trends are a big deal in the fashion world. Brands strive to keep up with what’s popular and produce clothing that suits what’s in. This means lots of change and iteration. But this presents a problem for brands that want to remain environmentally friendly. On the one hand, consumers demand new styles, low prices, and fast shipping. And fashion houses have found ways to achieve this through changes to supply chains and data analytics. At the same time, environmentally-conscious buyers don’t like the effects that these developments can have on the planet. And there’s a growing movement that aims to convince others not to buy from certain retailers. So how does this tug-of-war play out on social media? 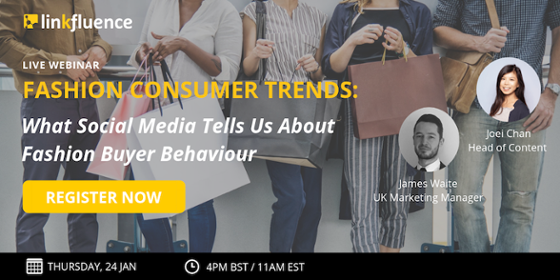 What do social users care about, and how can fashion brands stay on top of these trends? We’re going to look specifically at the rise of “fast fashion,” and the ways that the online world has responded. Let’s dive in. Fast fashion typically refers to clothes that are inexpensive and quick to produce. The phrase has become synonymous with some High Street retailers, most notably Zara. The Spanish label has seen its profits grow steadily, thanks largely to how quickly it moves through styles. Zara stores restock twice a week. It keeps its inventory lean, and only commits to about 15-20% of styles for next season. Which means that most Zara clothes are designed in-season, and are updated to match current trends. It also means that time on production lines needs to be low. Materials need to be relatively cheap, and designs have to be easy to mass produce. This is probably what most people think of when they hear the term “fast fashion”: inexpensive clothing you can find anywhere. But fast fashion also comes from the way that consumers approach clothing. Many buyers want an item now and know that they may not want it in three months’ time. If the clothes are cheap, that’s fine. They’ll wear it now, and discard it when they’ve had enough. Fast fashionistas don’t need a product that lasts a lifetime. The term also reflects the purchase and delivery times. As The New York Times puts it, “millennials and Gen Y-ers are (theoretically) the IWWIWWIWI generations — the ‘I want what I want when I want it’ folks.” Fashion needs to be available wherever the buyer is, as soon as they want it. That means Amazon-style delivery, easy-to-use web stores, and the ability to buy through social media. So the term “fast fashion” really refers to all of the above: fast to produce, fast to deliver, and fast to change. It just needs to be fast. Fast fashion reflects consumer choices. Buyers want more selection, new styles, and convenient shopping. And the brands that do this well tend to be the ones thriving. But this high-speed, low-value clothing has now become a significant environmental issue. 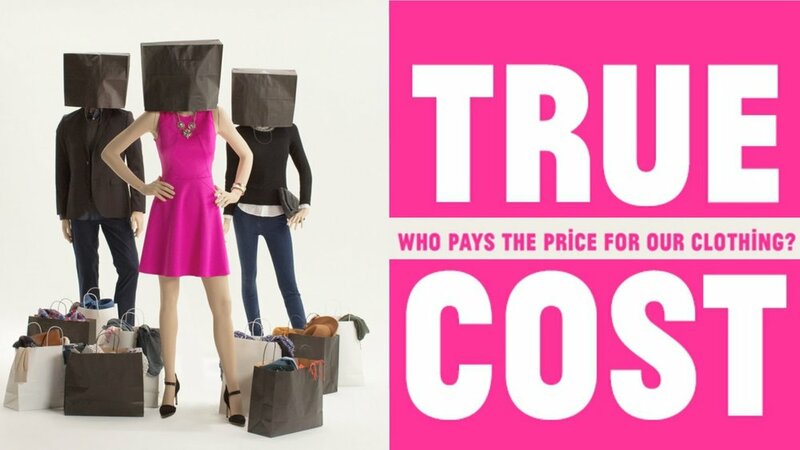 Documentaries like The True Cost (Netflix) have shed light on major issues with the modern supply chain. 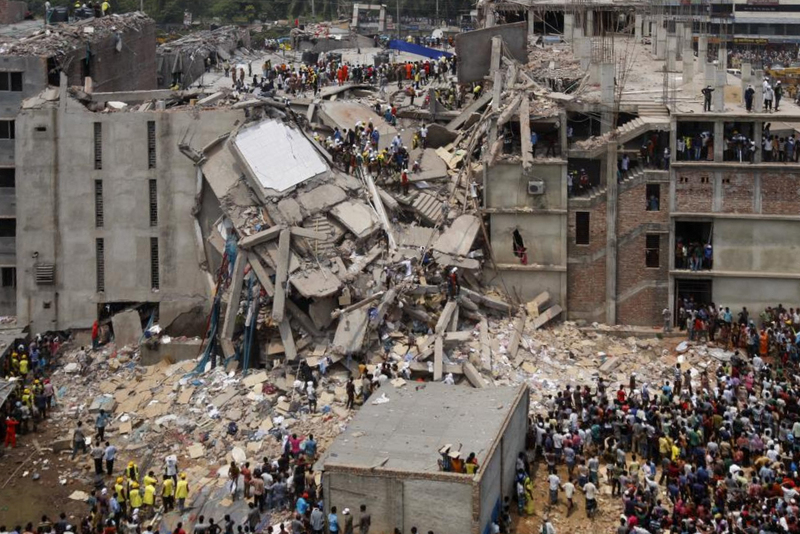 Case in point: On April 24, 2013, a commercial building in Bangladesh known as Rana Plana collapsed. Even though structural issues with the building were known and many other stores closed, the garment factories on the upper floors remained open, and managers ordered employees to come to work. 1,100 workers died when the building fell, while 2,500 injured people were rescued from the rubble. This was one of the darkest days in fashion history - the factory supplied clothes for brands including Benetton, Mango, Primark, and Bon Marche. And this incident was, for many, a wake-up call to show the need for stricter safety controls and better human rights for factory workers. And the more that these issues come to light, the more that some buyers are actively moving away from many brands. The term “fast fashion” is developing negative connotations. This has led to a constant struggle between brands (and consumers) wanting new styles year-round, and other consumers and industry groups who feel that this can’t be achieved sustainably. As with so many movements and trends, social media is a place for debate and information-sharing. In a previous post, we saw how fashion trends explode on social media, and how new styles take off seemingly overnight. So how is this reflected in the fast fashion debate online? Do activists own the discussion, or are most users actually happy with their access to new styles? Let’s jump into Linkfluence Search to see what we can learn about these conversations online. Who cares about fast fashion? You can see that most of these conversations take place on Twitter. Which makes sense, it’s a high-volume platform with a lot of active users. 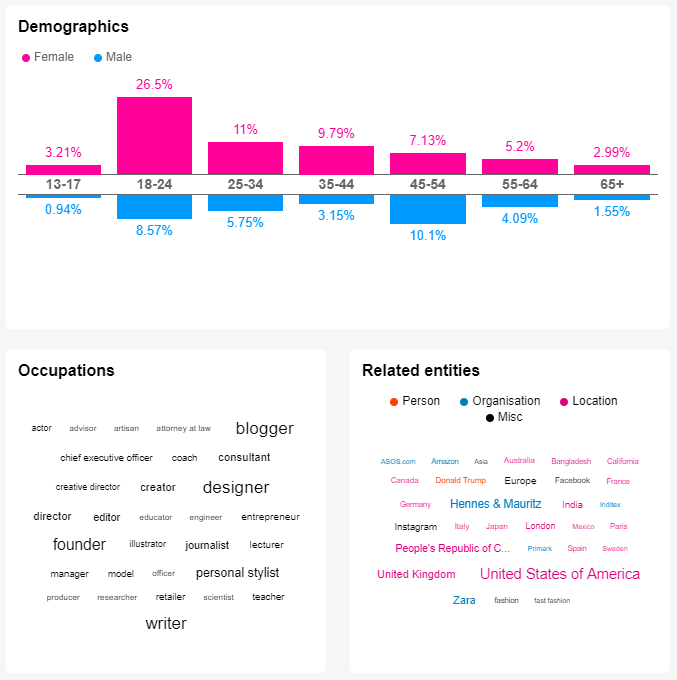 Whenever you’re looking for social media insights, audience analysis is a great place to start. And in this case, the ethical clothing debate appeals mostly to Millennial women. We’ve written this before, but most major social media trends are led by Millennials. This is both because they have strong opinions and want to share, and because there are simply more Millennials on social media than any other age range. So no surprises here. But can we learn more about the way that people discuss this issue? To most readers, “fast fashion” is probably a pejorative term. It means low-quality, harmful products that smart shoppers wouldn’t buy. But is that what social media analysis tells us? Well, no. And of course, this reflects buying habits. As we said above, the trend towards fast fashion arose mostly because this is what people want. Despite controversies, consumers still choose clothing that’s easily to buy and changes often. This trend also suits social media. The obsession with selfies and taking the perfect photo means that social media users think more about the clothes they wear, and have a new need to change looks constantly. According to one survey, 22% of 16-24-year-olds will throw away an item after being photographed in it fewer than three times. Fast fashion is simply a necessity for these young users. Many blame the selfie obsession on social influencers. Young people see the rich and famous wearing a new outfit in each photo, and seek to imitate these looks in their own timelines. 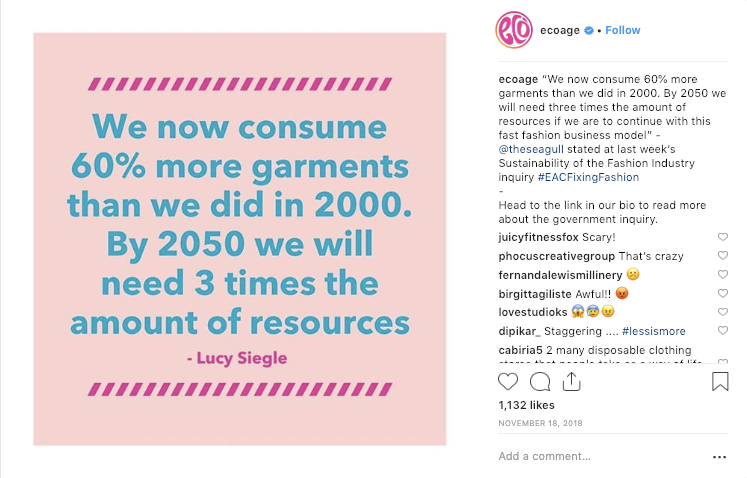 As is so often the case on social media, influencers lead the discussion - both for and against fast fashion. One environmentally-friendly practice growing more popular is the push to avoid buying new clothes. Many people seek to find clothes second hand through sites like Vinted and ThredUp. This may not be what retailers want to hear. If people get their “new” clothes from second-hand shops and friends, they’re not spending money in stores. Not all of this is due to ethical consumption. In some cases, items simply sell out, and buyers rely on the second hand market to get them. Supreme clothing and shoes like Adidas’ Yeezys regularly resell for much higher than recommended retail value. But either way, some consumers now actively avoid buying in-store, and look first for previously-owned goods. As we’ve seen previously, social media is a valuable source of consumer insights. And the growing awareness around ethical clothing choices has meant that many brands have had to become more transparent and change certain practices. Under significant pressure, H&M has worked hard in recent years to show that it can produce sustainable, ethical clothing. It released a detailed sustainability report in 2017 (describing its efforts to change) and aims to use only sustainable materials by 2030. In a similar vein, Patagonia has a large section of its website detailing its corporate stance and environmental footprint. The company is widely regarded as one of the most ethical clothing retailers, regularly appearing at the top of lists on the subject. Many other retailers are following suit, and taking a stand over certain political issues has become part of some companies’ DNA. Based on what they know about their consumers, they’re able to judge that this will make their clothing more appealing. This was a simple example to show how understanding your buyers can affect the way you produce and sell goods. For many businesses, it’s more important to keep cost low and offer new products as quickly as possible. For others, like Patagonia, Everlane, or Reformation, it’s more important that buyers know they’re supporting ethical businesses. This is a way to encourage loyalty, and likely increases word-of-mouth sales. Whichever side your business falls on is up to you. What’s most important is knowing what’s going to motivate your target customers to buy. Do they care most about price, or is there something else they’re looking for? This is why having detailed, up-to-date customer insights can be so valuable. And for this, there’s no better source than social media. Because every trend, interest group, and movement now lives on social. Do you know how to find out what they’re talking about?